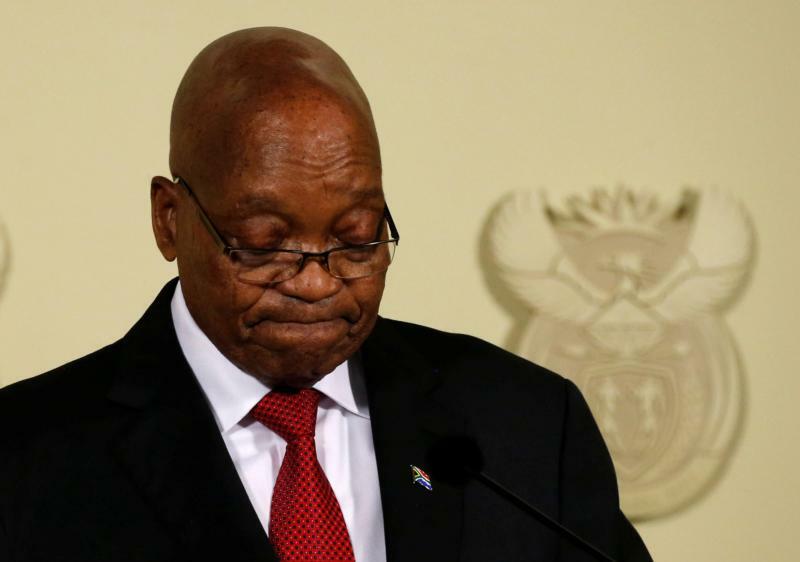 CAPE TOWN, South Africa (CNS) — Jacob Zuma’s resignation as president of South Africa is long overdue, the country’s bishops said, noting that his scandal-plagued presidency fostered corruption and dereliction of duty at all levels of government. “The fact that Mr. Zuma has been allowed to hold on to the highest position in the land despite long-standing and overwhelming evidence of his unfitness for office has done immense harm to our country’s international reputation, to its economy and, especially, to its poorest and most vulnerable citizens,” said the Southern African Catholic Bishops’ Conference. Zuma, 75, resigned Feb. 14 after nine years in office. In a televised address to the nation, he said he disagreed with the way the ruling African National Congress had pushed him toward an early exit, but would accept its orders. Deputy President Cyril Ramaphosa was confirmed as president until 2019 general elections. While for some Zuma’s resignation “may be a painful event, we call on all to accept his decision as part of our democratic process,” the bishops’ conference said in a statement issued by its president, Archbishop Stephen Brislin of Cape Town. Zuma could face corruption charges, including those connected to an arms deal two decades ago. “We pledge our prayerful support to the incoming administration and to all who hold public office in our country, that they may serve all the people of South Africa diligently, honestly, and with the integrity that the long-suffering people of this country deserve,” the bishops said. Those most harmed were the poor, “who became poorer as a result of nepotistic appointments of incompetents, asset stripping and diversion of public money from where it was most needed to the bank accounts of politicians,” the institute said. Despite the tension South Africans experienced while awaiting resolution of the impasse between Zuma and his party, “we should not lose sight of the fact that the matter was resolved in an orderly, procedural and peaceful manner,” Mike Pothier, manager of the bishops’ parliamentary liaison office, said in a statement. Also, it should be remembered that Zuma’s “already notorious record of corruption, dishonesty, cronyism, philandery and self-advancement did not bother” those in his party who put him in power and “thereby set in motion the disastrous decade that has sullied our reputation and set us back economically, institutionally and politically,” Pothier said. On Feb. 14, police raided the homes of business associates of Zuma who are accused of using their connections to the president to influence Cabinet appointments and win state contracts.